Apple Butter & Shugie’s has something for everyone on your gift giving list! You can find Shopkins and Boos for the kiddos, sport memorabilia for the sport enthusiast, fashion and jewelry for all the girls, gifts for Grammy, Nana, Grandpa, and more! Do you think we could get any more in this store? Well, of course we can. Just watch. With farming being such an important part of Morris, IL and the surrounding area, we thought it was essential to have items that embody the farmer. We offer artwork by P. Graham Dunn, farming inspired ornaments, floor mats, frames, and mugs. Because we are so proud to call Morris home, we offer plenty of items that display our pride. One can find signs, mugs, towels, wine glasses, and coasters celebrating our city. You can also find Coal City, Minooka, Seneca, Kankakee River, and the Illinois River added to the mix. 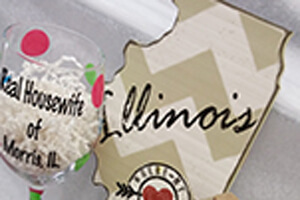 We are so excited to carry home décor and souvenirs that are inspired by our very own Kankakee River! Whether you want to decorate your home with images of the famous river or if your family wants a classic Morris souvenir, Apple Butter & Shugie’s has you covered. If you have visited Apple Butter & Shugie’s, you might have discovered that Janie is over the top when it comes to fairy gardens. 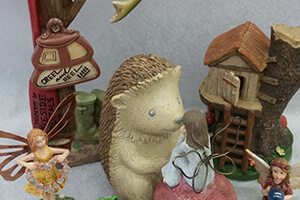 Of all our inventory, fairy décor is her favorite to talk about and share ideas with fellow fairy enthusiasts. If you are looking to add some décor to your backyard, patio, new flower bed, or established rock garden, we have just what you need. Weather vanes of all themes, LED items to light up the night, or that special garden stone awaits you. Losing a loved one is one of the worst pains one can go through. 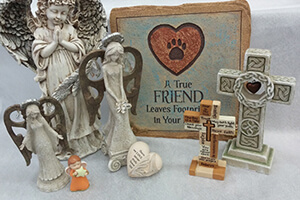 Here at Apple Butter & Shugie’s, we want to make it easy to commemorate our lost loved ones with meaningful gifts that celebrate the life and relationships we have with family, friends, and pets. Angels, garden stones, pocket charms, and worry stones are all gifts that make you feel comforted, and remind you of your passed loved one. Whether it is a gift for yourself or someone close to you, we have the perfect gift that will send your condolences and help ease the pain. If you or someone you know loves wine, let it be known with a gift from our selection of wine décor. We offer a great variety and many wine glasses for all occasions. 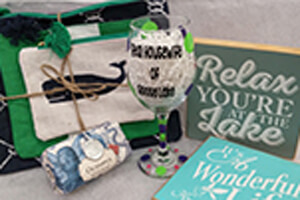 Need a personalized glass for everyone in your book club or bridal party? Delivery is pronto. 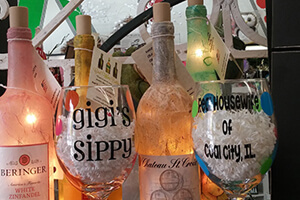 We now carry cool, repurposed and lighted wine bottles from a company out of Minnesota – their items are USA made! The color selection is fabulous. We now have a beer themed section within the wine department as well. Stop in and check it out. Apple Butter & Shugie’s carries necklaces and charm bracelets from popular crafters such as Ginger Snap and Charm It. We offer a variety of charms and pendants that you can create your own story from Forever in Your Heart. Our sentiment jewelry is always a favorite for those looking for that one special gift to say thank you. If you’re on a budget, we have just the selection for you as well. Give the gift of amazing home fragrances with Yankee and Crossroads candles. We offer many scents from both renowned candle companies, so you will find the perfect scent for your home, or your friends’ homes! 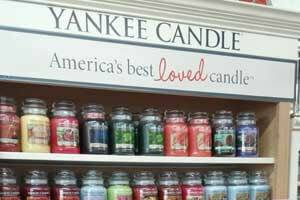 We also accept Yankee Candle coupons in our store. 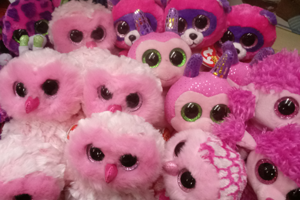 We have an entire, fully stocked toy section that includes puzzles, table games, Ty Boos, and other plush animals that your children are sure to love at first sight. Weddings are one of the happiest times in people’s lives. Help make the memory even more special with a personalized gift from Apple Butter & Shugie’s! 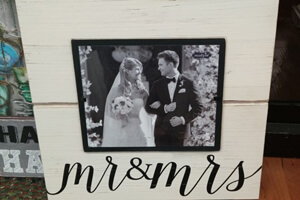 We offer metal and wood monograms, picture frames, bridal bags, and personalized wine glasses for the wedding party. Stop by and let us help you create a memorable gift for the bridge and groom. At Apple Butter & Shugie’s, we carry a wide variety of fun, cozy socks to wear out in the cold or just around the house for even your laziest of days. 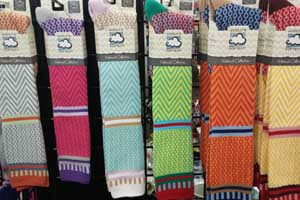 Here you can find Snoozies, Crescent socks, sublime novelty socks, and sport socks as well. The Kerrs are personal friends with Santa Claus. Because of this, they take extra special attention to detail for the inventory they bring in to our shop. Thousands of ornaments stay out all year so that the excited tourist can find their themed ornament any time of the year. Many families adorn their Christmas tree with personalized ornaments from Apple Butter & Shugie’s. The crew begins flipping the store over for Christmas in July! A cook Janie is not, but a buyer with an eye for fun and unique items she is. Stop by and see our great selection of dish towels that put smiles on faces and stir up giggles for all who read them. 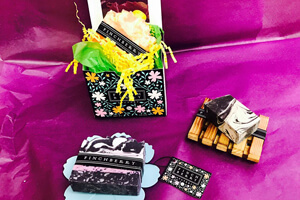 Our Michael Design soaps for the kitchen and bathroom make a great hostess gift. Their fragrances are so delicious, it’s hard to pick a favorite. If you or someone you love is a sports fanatic, then Apple Butter & Shugie’s is your go-to for all of Illinois’ sports teams! We carry Chicago Cubs, Chicago Bears, Chicago White Sox, and University of Illinois merchandise. You can find Green Bay Packers items, too. 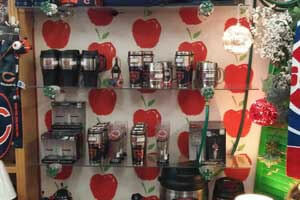 We have mugs, piggy banks, wall hangings, and more. Stop by and discover two trendy new tshirt lines the Kerr’s have brought in. 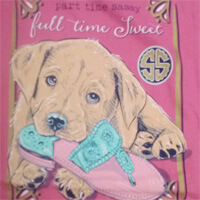 Simply Southern offers sweet and sassy prints for young and those young at heart. Accessorize with one of our “over the top” bows. Also new to Apple Butter and Shugie’s is Puppy Love. A fabulous new tshirt line that donates a percentage of their sales to no kill shelters. Over 40 prints to choose from.